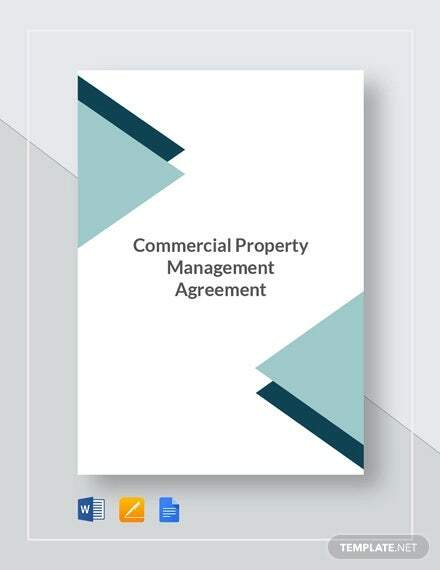 A commercial agreement is a legally binding agreement between two or more parties in which there are things they are obliged to do or things they are restricted from doing. 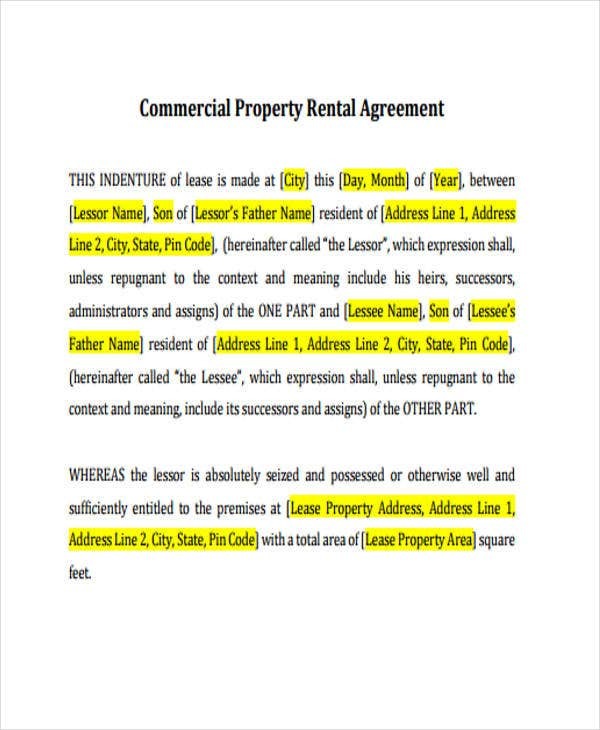 This type of contract can be written, verbal, or intended in a formal or informal way. This is used mostly by people in a wide range of the business community that includes the corporate sector and retail industry. 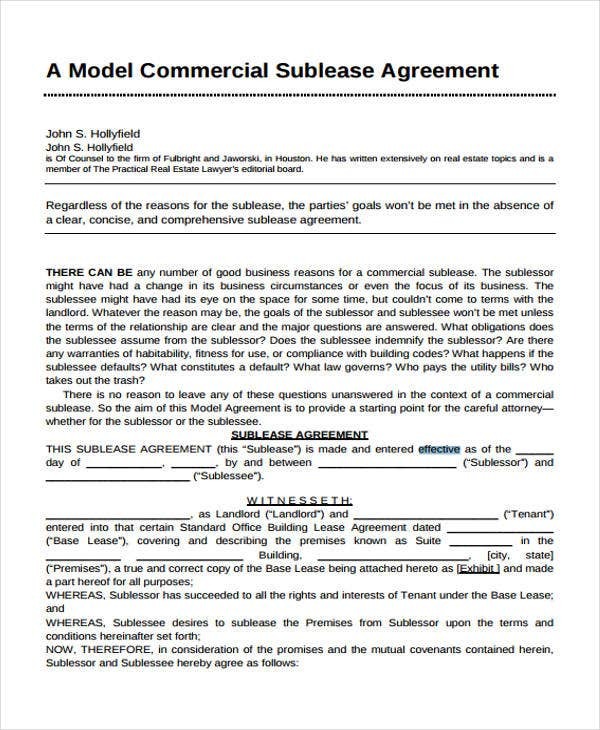 Making a commercial agreement example can somehow be irksome. 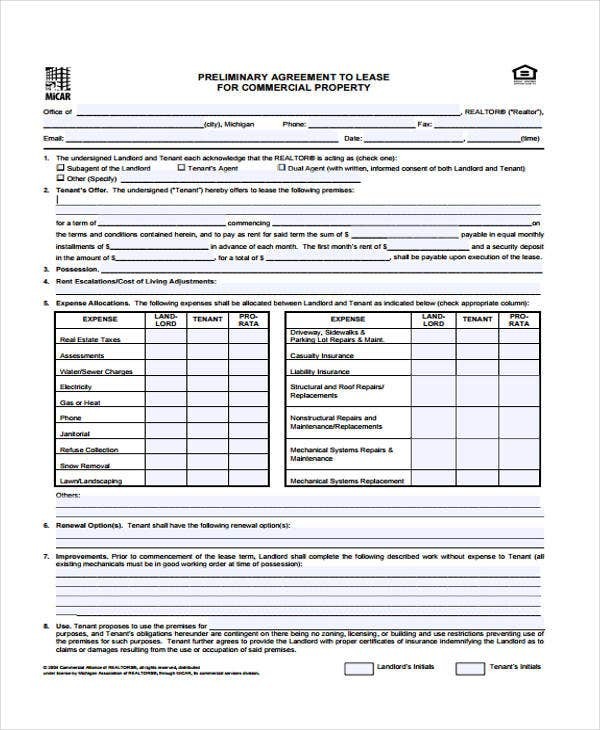 If you are not sure what contents to put, we highly recommend you to make use of templates. 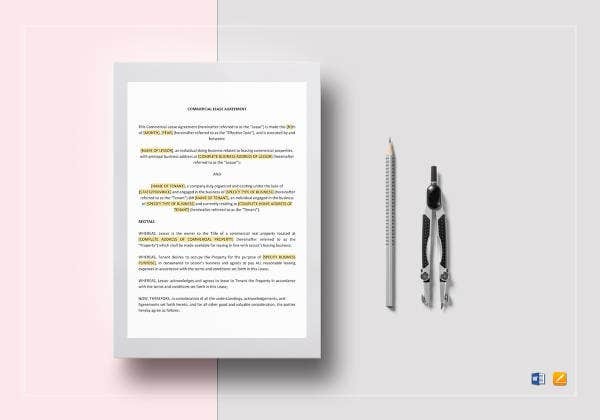 These are ready-made and pre-formatted documents that contain all essential details required in making a commercial contract. 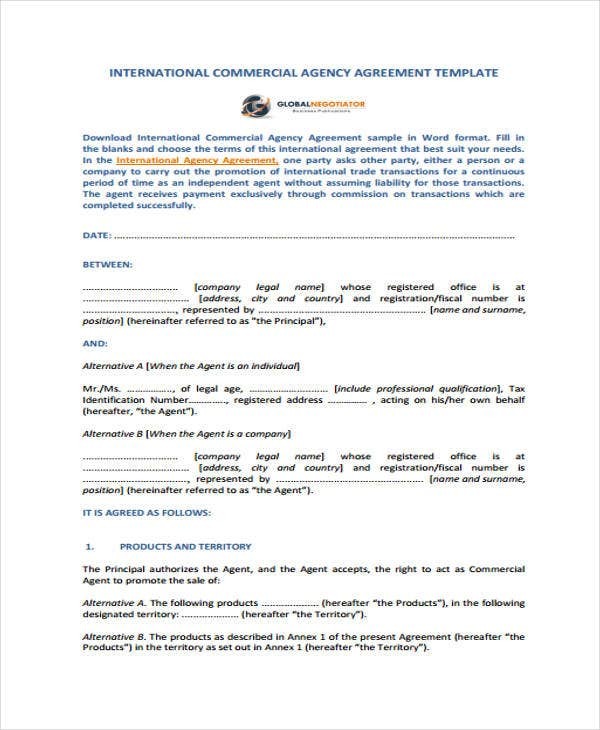 With our commercial agreement templates, it will be so easy for you to construct your own contract. See our samples below. 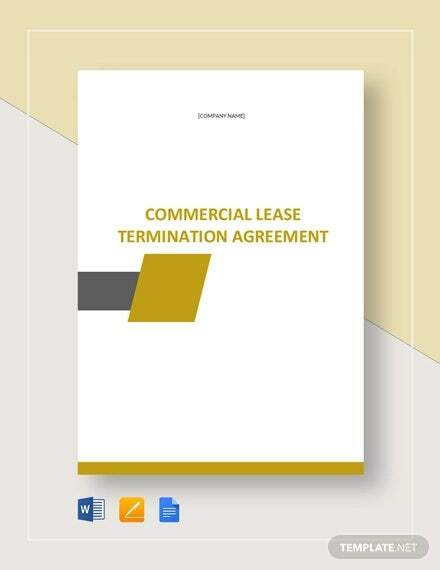 Commercial Lease Agreement – this is the template you will use if you’re making a contract that is intended between a landlord and tenant, and also for a business property rental. 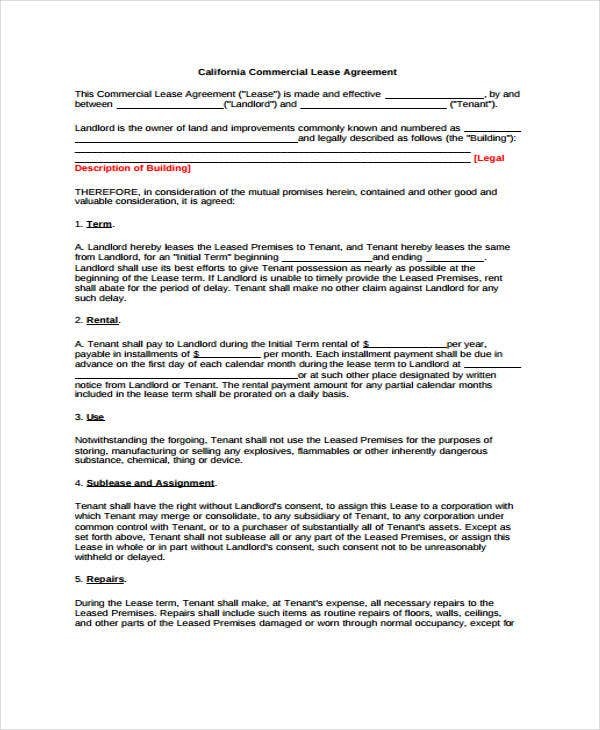 Commercial Rental Agreement – this template is intended for renting business property to or from another organization or individual. 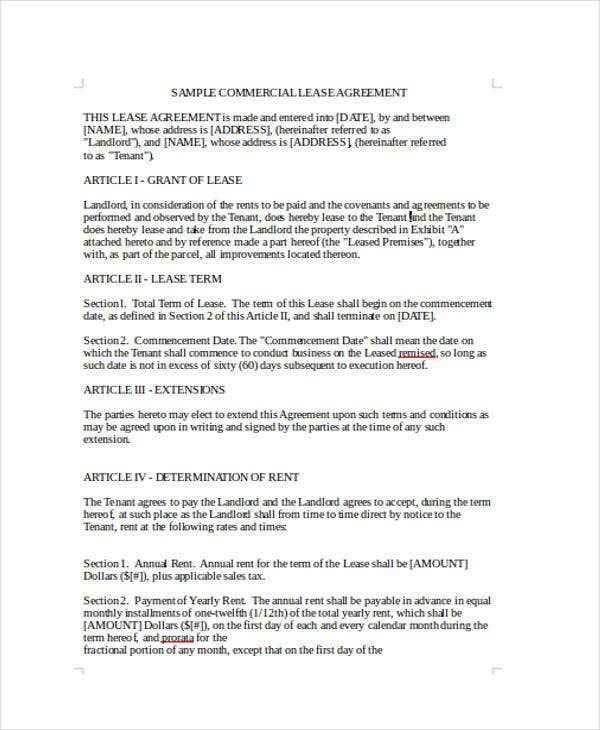 This type of agreement gives the tenant the right to make use of the property that is designed for business reasons. 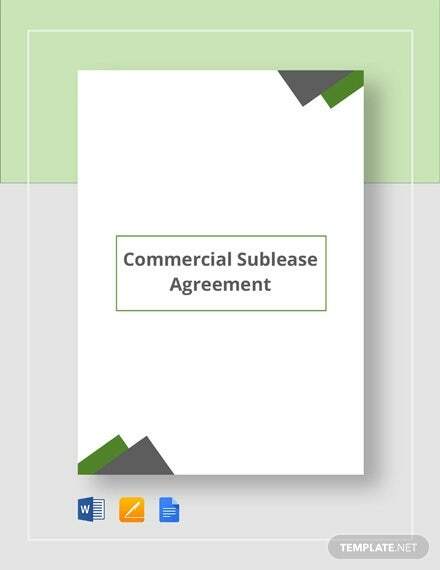 Commercial Sublease Agreement – this template is what you need for a contract that focuses on a tenant who leases a commercial property and another party who will then take over the lease that is already existing. 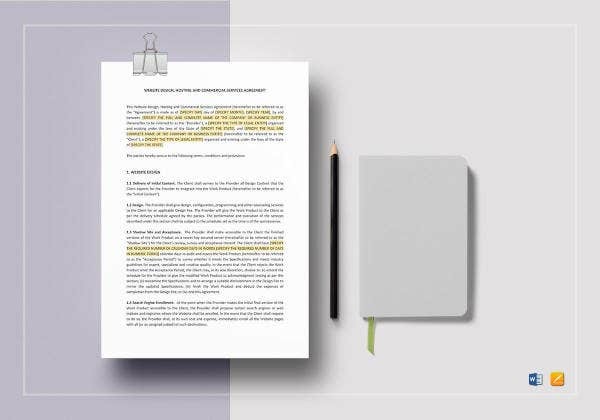 Preliminary Agreement – if you are making a contract that is intended for binding major changes in circumstances and contains conditions criterion, then this template is an ideal fit. 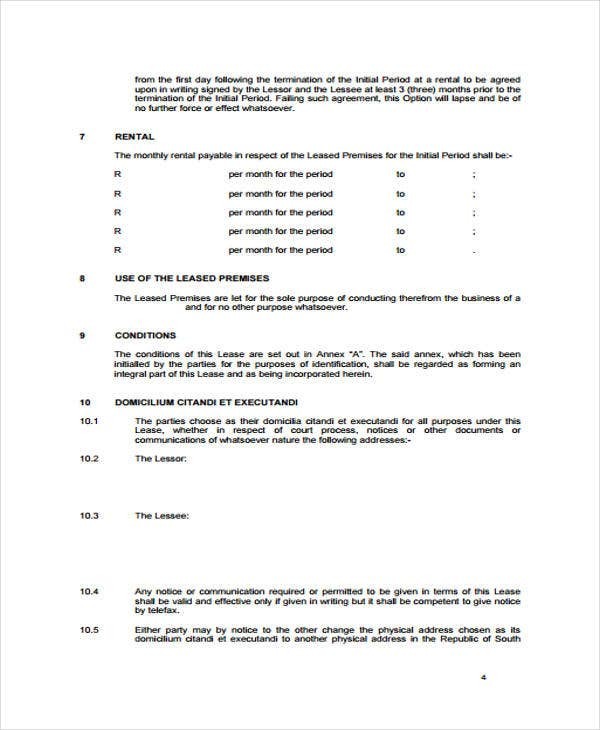 Property Lease Agreement – this template is useful when it comes to making a contract that is used for describing a lease, in which assets are concrete properties. 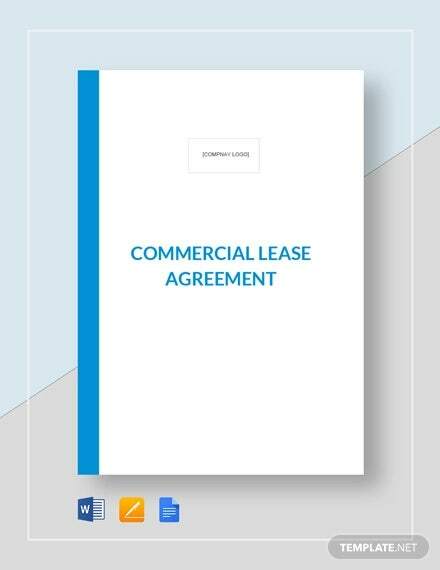 If you are also looking for another variety, perhaps our simple commercial lease agreements are what you’ve been searching for. Check them out too! 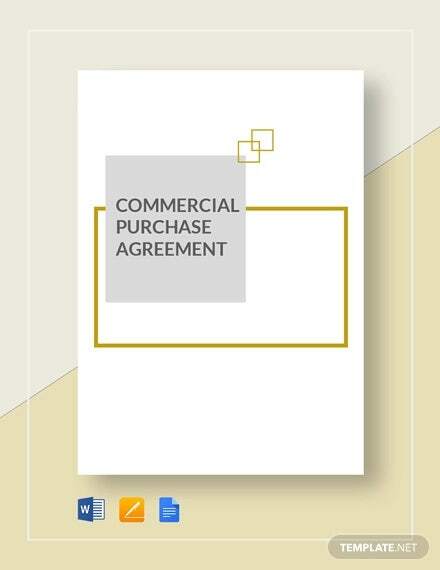 When Is a Commercial Agreement Most Useful? 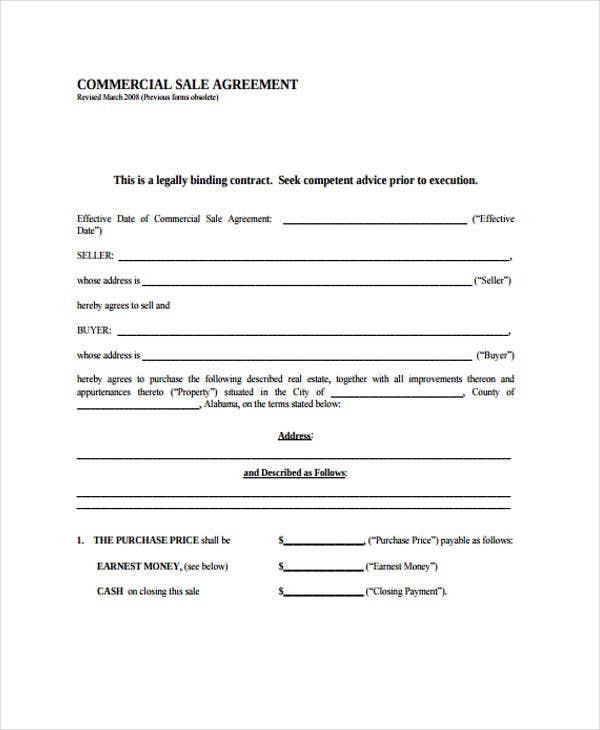 During the time of negotiation especially for the sale of business. 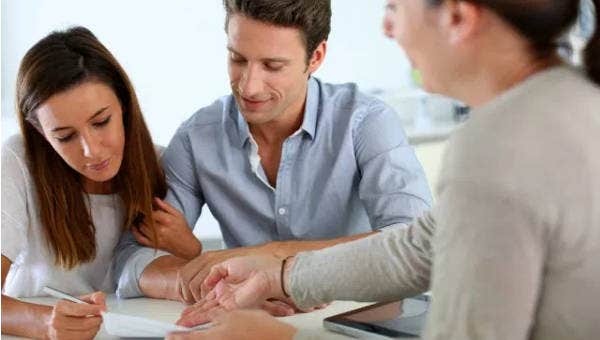 This often happens when the vendor lets the potential buyer conduct an investigation for the financial accounts. When it comes to a partnership or joint undertakings. The parties establishing the financial and commercial viability of combined forces will always have along with them a commercial agreement. This is also to prevent any further disputes. An idea. 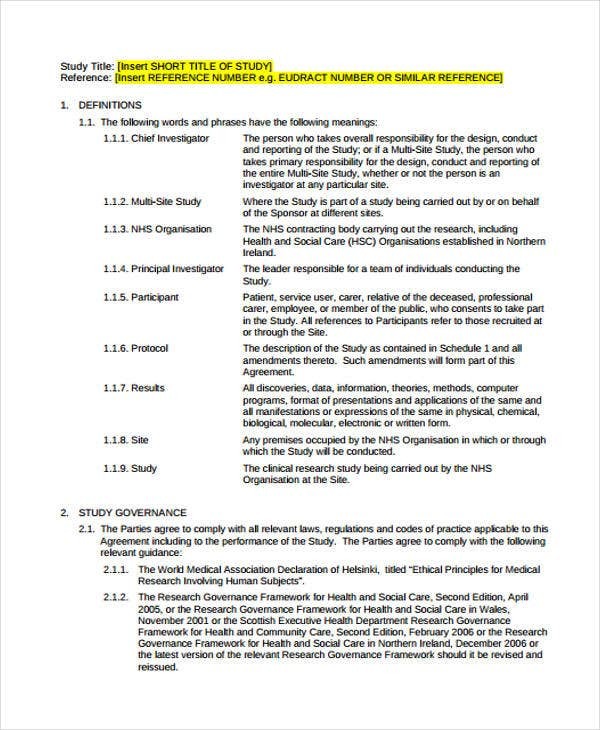 Some other commercial relationship requires certain information that is bound to be shared with another party. Since this is dealing with products or services in a commercial industry. Those with new concepts will then provide certain commercial ideas that can surely help. 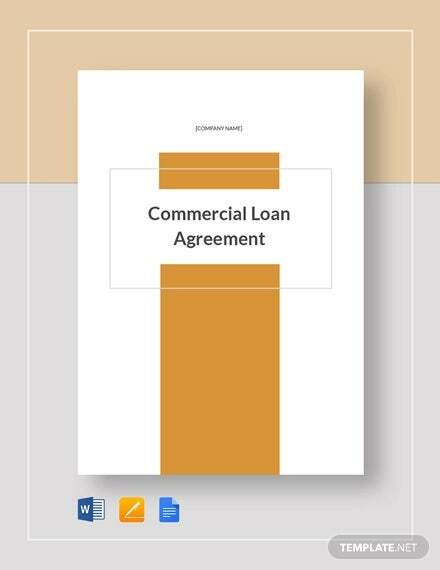 Now, when it comes to constructing a commercial or any agreement, templates are what most people prefer. 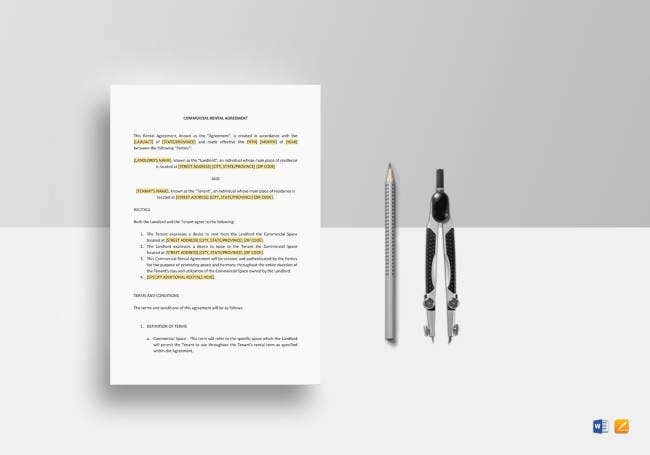 Apart from the fact that they are ready-made, you also have the option of saving an offline copy of the document for future needs. You can also edit them if you want. 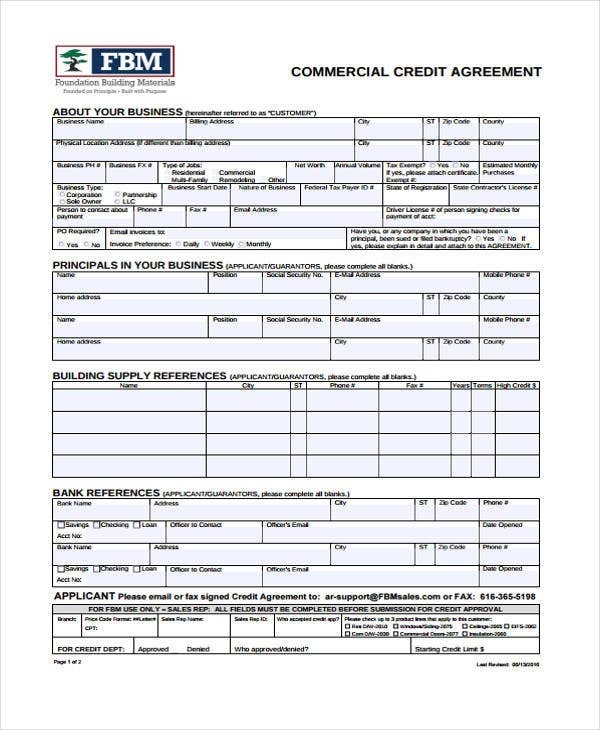 In case you are also making a commercial rental agreement, we also have several choices of templates for you to choose from.